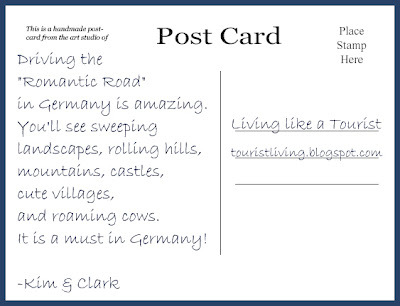 Living like a tourist: Postcard from the Romantic Road in Germany! Local wine, medieval castles, rolling hills and a winding river... the place for love. No, not Paris. 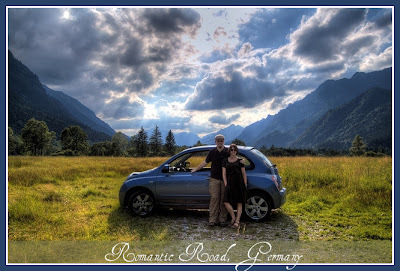 I am talking about the Romantic Road (Romantische Strasse). Romance might not be the first word that comes to mind when you think of Germany, but that's where you would be wrong. 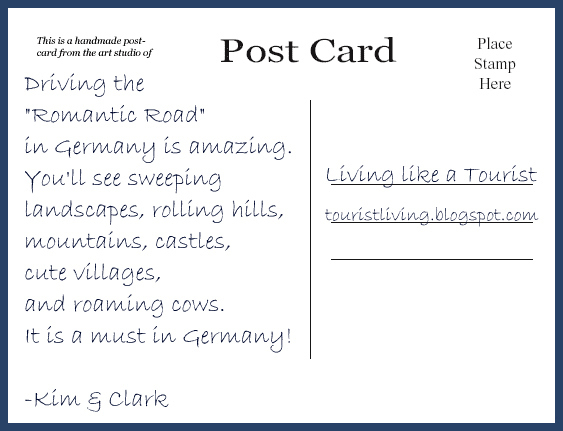 Kim and Clark, of To Uncertainty & Beyond, sent the postcard above from ﻿this gorgeous region of western Germany. This strasse stretches 353 km from just below the city of Frankfurt down to Munich and the Bavarian Alps in the south. 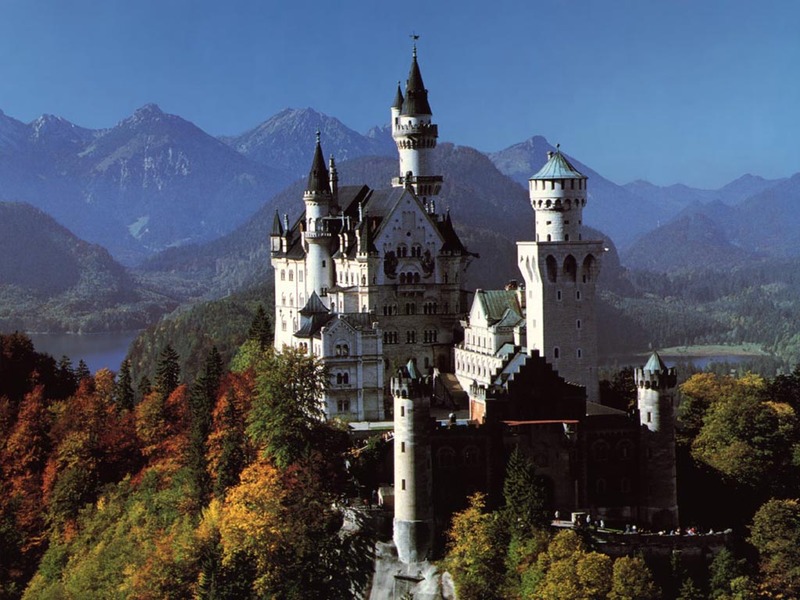 Of the beautiful towns, medieval fortresses, and Gothic churches you can find, you have probably at least heard of the Neuschwanstein Castle. This stunning castle sits high up on a rugged hill amidst the Bavarian Alps, inspiring the design of Sleeping Beauty's castle in Disneyland. However, you may not have heard of Nordlingen or Rothenburg ob der Tauber, two other gems along the road. The former, Nordlingen, has maintained its medieval character with intact city walls, city gates and 18 towers. However, an intriguing fact about this little city is that it sits in a 25 km meteor crater formed when an asteroid hit the earth 15 million years ago! The Ries Crater museum is a good place to be reminded of this fact if you get distracted by the medieval surroundings. The latter, Rothenburg ob der Tauber, described as the best preserved medieval town in Germany, has a double vaulted bridge and a town hall tower perfect for living out Rapunzel or your fairy tale of choice. Not convinced? Apparently Rothenburg is also known as the town of "Eternal Christmas." How can you not make this a stop in your journey? So Bon Voyage and Merry Christmas! Thanks for posting our photo!